When they're ready to tie the knot, happy couples will want to attend your event. 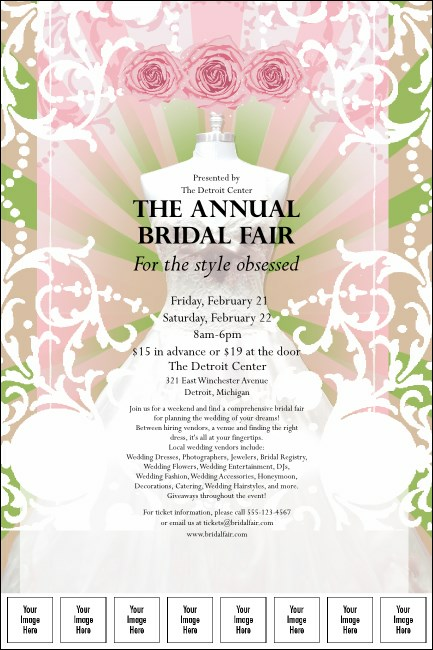 The Bridal Fair Poster is the perfect way to promote it. With space for up to eight photos of your exhibitors and sponsors, this poster template features plenty of space for your information and images of a happy wedded couple. Here come the brides. Be ready with promotional materials from TicketPrinting.com.